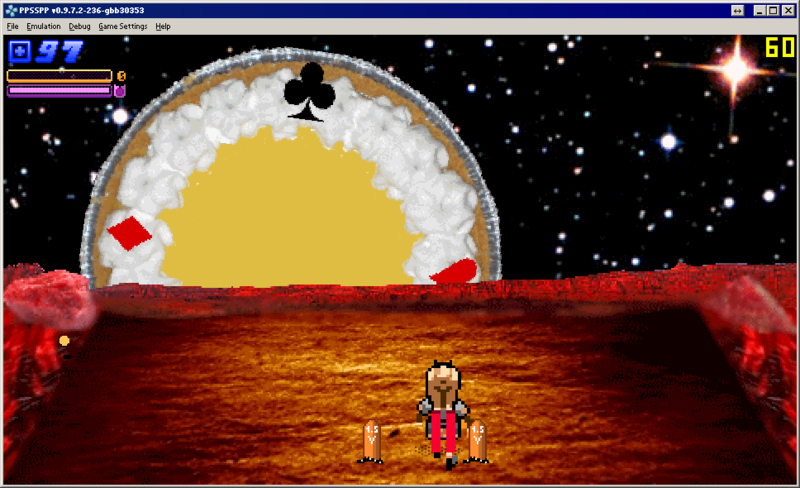 This is my second production for PSP: Alice in PastaCrocket. The first was a Mille Bornes coded in 2009/2010. THis game by coded during "AC" party which was held near Paris this month of April 2014. You must destroy a lemon pie by smashing a ball into it. However, the lemon pie will fight back by sending… Well, you can have a preview HERE (Warning: barbaric language spoken!). Tested on 5.50 GEN-D PSP 1000/2000 and OFW 6.60 PSP-3000. Feedback on PSP GO and Vita's PSP Emulator are welcome. General feedback is also welcome. Some minor graphical glitches are noticed in PPSSPP, they don't affect the game that much (excepted the fact that if the emulator is detected two mini-games won't trigger and will be replaced by one which works with PPSSPP). Source code is also available on demand, but reading it is as dangerous as playing the game. Everything else is explained with the README. Last edited by SMOKE on Wed Apr 16, 2014 2:16 pm, edited 1 time in total. What an interesting homebrew. May I see the source? Feel free to PM me. Malachi wrote: What an interesting homebrew. May I see the source? Feel free to PM me. Sure, as long as I don't see it circulating on the intarweb. By the way, I've corrected some minor bugs. The last version is v1.02. Check your version by launching the credits and download again the game if the version differs. Thank you. I will not re-release your code what-so-ever. I just like to look at source code while I have nothing to do at work. - When Kim Jong Eun's face appears, the game does something now. - Shoop da Whoop's sequence has been changed. Instead of mashing buttons, you must now protect the planet by moving left or right. - Fixed a glitch where you could still send stars after the pie had died. - SONIC.EXE mini-game made harder. - The source code is now provided with the game, without restrictions! Try to understand it and make your own mod! Same link to download it, which is in the OP.